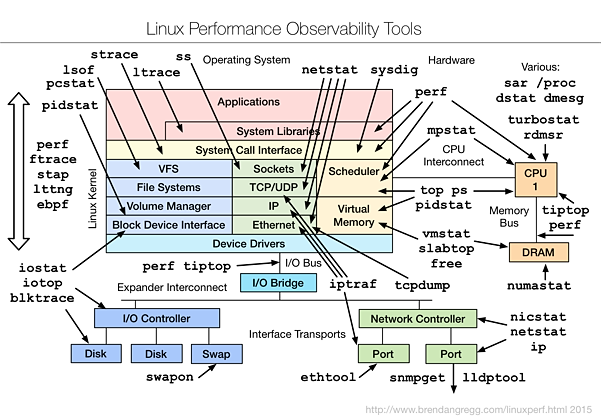 As GNU/Linux system engineers or administrators, knowing the type utilities that can be used to monitor, troubleshoot and fine-tune a system is a vital part of the skill one should posses. However, unless one will be using many of these tools each and everyday, it’s difficult to memorize all of them. 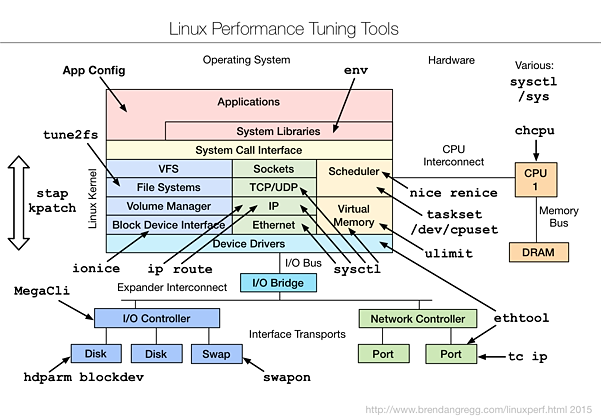 That’s why Brendan Gregg, who’s a senior performance architect over at Netflix, has created a few tools maps that feature lots of extremely useful software utilities for system monitoring, debugging and fine-tuning various aspect of a GNU/Linux server (CPU, RAM, storage devices -- HDDs, SSDs, RAIDs, I/O Controllers, Network adapters & ports and more). Even though I’m an unemployed RedHat Certified Engineer, I can easily picture myself hanging these tools maps on a wall closer to my work desk (that’s how you guys work, right? 🙂 ) and then being able to hand pick the right tool for the right job pretty easily when needed. In simple words, I find them enlightening!. Below are some of these tools maps, but don’t download these ones because I’ve resized them. 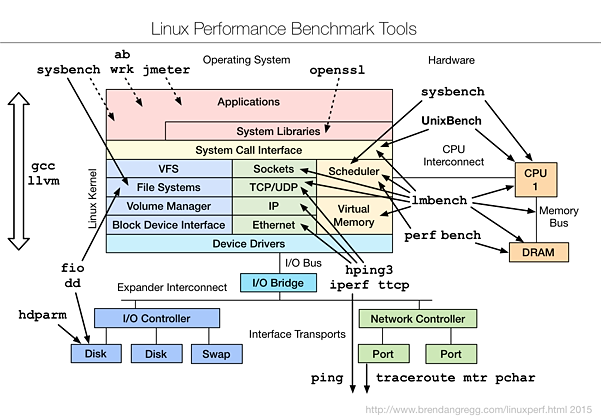 To get the original images which are much larger and clearer, visit the Linux Performance page of Gregg’s personal blog. Gregg has also written a long book called Systems Performance: Enterprise and the Cloud, should you be interested. Thank you for the images. I have printed them out for a “Quick Reference.” You are expanding and updating my Linux knowledge one post at a time! You’re welcome Mark 🙂 .